$2.79 to $49.99 & FREE Shipping on orders over $59 $35. Enzyme for maceration/skin contact when dealing with White Wine grapes. 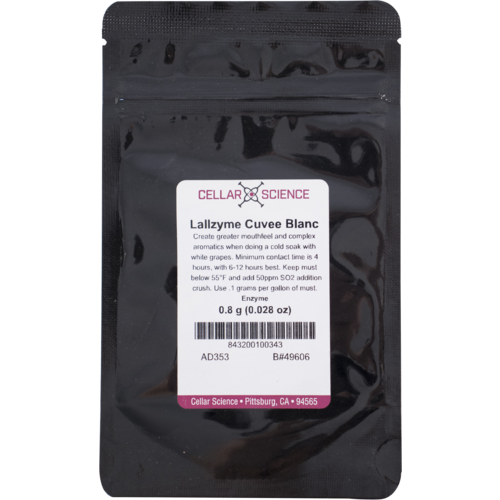 This enzyme will give greater mouthfeel and more complex aromatics than without. Minimum contact time is 4 hours, however, 6-12 hours is best. If you macerate more than 4 hours, you will need to keep the temp. of the must below 55 F and do an SO2 addition at the crush. Dose rate is .1 grams per gallon of must. 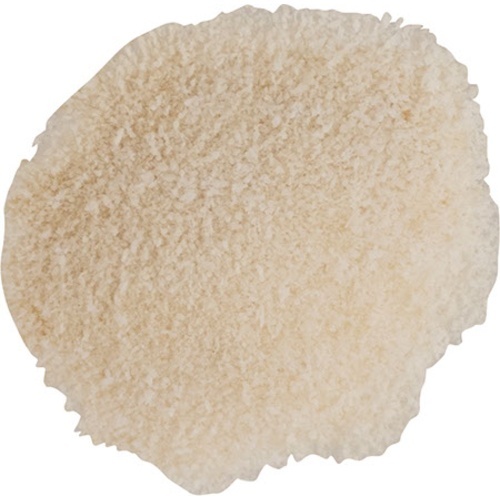 Store dry enzyme at room temperature, around 25 C° (77 F°), once rehydrated use within a few hours. This stuff really works. My Riesling finally has that elusive tang nothing else has been able to bring out. Wow! Cold soaked Chardonnay 548 for 5 days at 50 F , no sulfides. Fermented at 59 F in open top for 90 days on skins no sulfides. Aroma is strong and complex, flavor opening at 3 months in stainless steel variable tank. Color is clean light yellow with no filtering. Has a long finish, at tasting room very popular with red wine drinkers. I like this product for a Natural Wine.